As a website owner, you probably know the various responsibilities it entails. To keep your website relevant and prominent in the search engines, it is necessary to keep up with Google’s algorithm changes, especially if you would like to maintain rankings and positions. This year, Google has announced yet another requirement and layer of responsibility for website owners: SSL Certificates. In the past, having an SSL certificate was optional, but highly recommended if your website was collecting sensitive information or processing payments itself. For many website users, third-party payment processors, such as PayPal, alleviated the need for an SSL certificate, as PayPal already had such a certificate. But now, Google is requiring every website to have an SSL certificate for the sake of online security. If your site does not have one, Google Chrome will tell the user that your site is “not secure” or “potentially unsafe”. As you can see, this could cause you to lose customers and your rankings in Google will undoubtedly suffer. 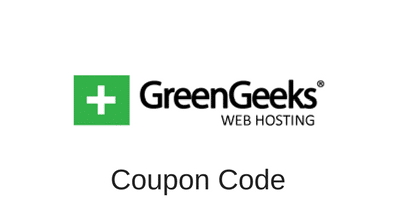 For these reasons, GreenGeeks is now offering free SSL certificates to their customers’ websites courtesy of Let’s Encrypt. Let’s Encrypt is a part of the Internet Security Research Group (ISRG), and they offer free SSL certificates to website owners to help promote a safer and more secure internet. Thanks to Let’s Encrypt, anyone who owns a domain name can get a free SSL certificate. Once fully integrated, the software provided by Let’s Encrypt will run on our web server and allow you to easily configure your new SSL certificate and renew it automatically every 90 days. Let’s Encrypt will automatically log any certificates that have been revoked or issued for all to see for the sake of transparency. Let’s Encrypt free SSL certificates are an ideal product for those who have personal websites or blogs. Right now, GreenGeeks has not fully implemented the Let’s Encrypt feature into cPanel yet, but it will be added soon. The best way for you to obtain your free SSL certificate is to contact support and specify the domain name on which you’d like an SSL certificate installed. Support will then work with you and guide you through the entire process. While the free Let’s Encrypt Wildcard SSL will work for most people with smaller, personal blogs or websites, a premium SSL is still highly recommended and is offered through GlobalSign for an annual fee. A premium SSL certificate offers added layers of security and seals for those with high-traffic websites and/or e-commerce sites. Also offered with a premium SSL certificate are warranties which can be valued at $10,000 to $150,000. As with Let’s Encrypt SSL certificates, if you’d like to get a premium SSL certificate for your site, contact support. Support will be glad to answer any questions and recommend whether Let’s Encrypt or GlobalSign will work best for your website.